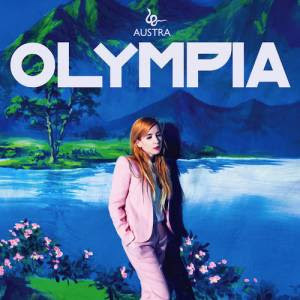 Toronto's electronic maestros Austra just released their second album, 'Olympia', this week and they're showcasing a new track from the record to entice you into a possible purchase. As well as alerting you to their string of new tour dates, across Europe. Listen to 'Don't Hurt Me Now' below. 'Don't Hurt Me Now' brings the usual well-crafted Austra melodrama, with some nice flourishes of organ and harp to complement the striking vocals of Katie Stelmanis. Watch the video to another track from the album, 'Home', below as well. Austra play the Hoxton Square Bar & Kitchen tonight in London - it's sold out but you might be able to nab a spare ticket from someone, if you're lucky. Find more info on the album and tour dates at austramusic.com.